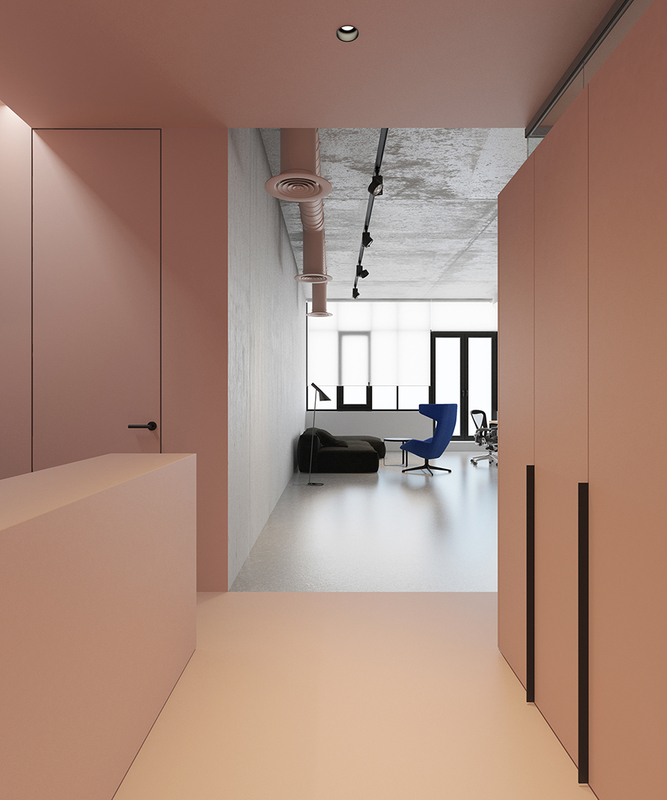 A commercial office in Kiev, Ukraine gets a bold coat of pink in this design by architect Emil Dervish. These bold statements are really nice to me, especially in a professional environment with a lot of people using its space. 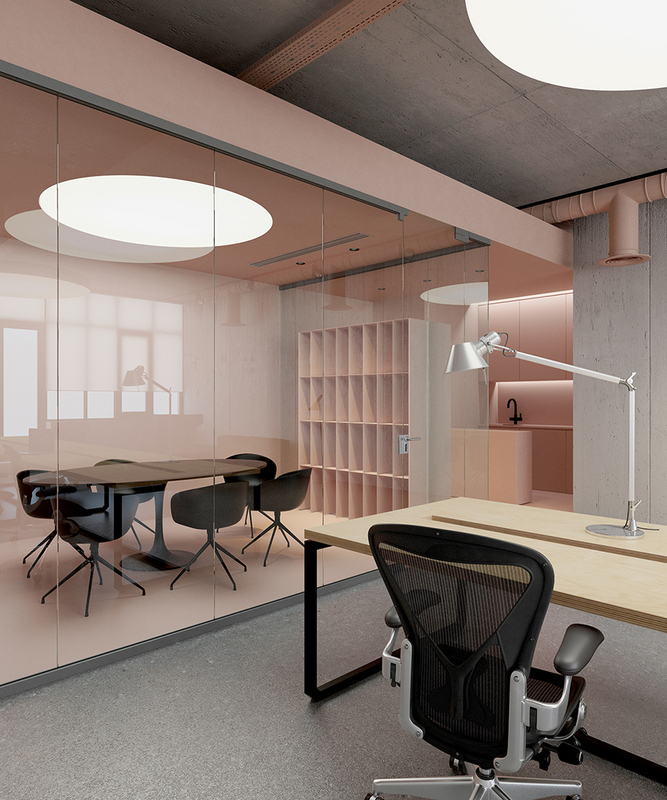 There's a right and wrong pink to me, bluish pinks or baby pinks are off-putting but show me a warmer hue with a bit of orange and I find that really appealing. 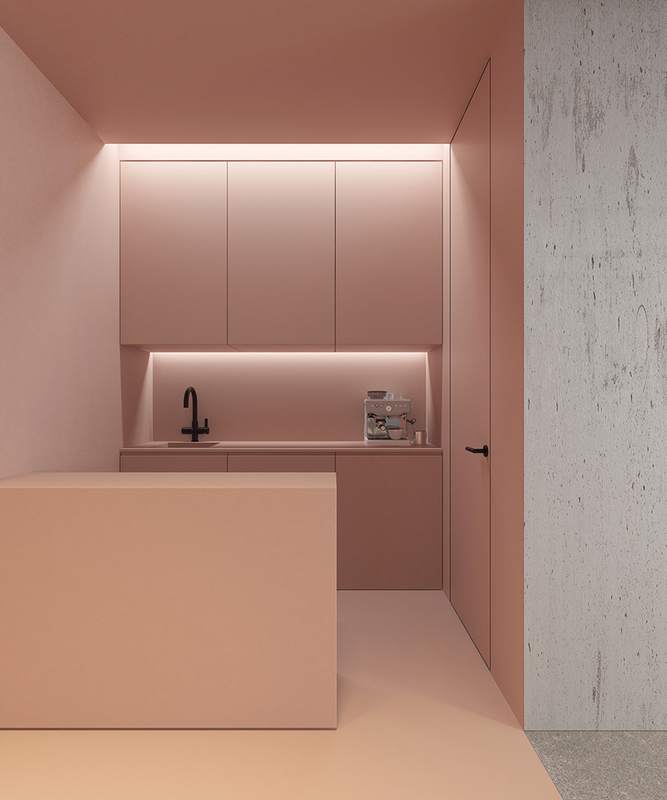 This space nails that pink hue and even though I don't think I would permanently want my residential kitchen pink, I would be happy to use one like this while at work. What a beautiful and soothing place to work. I love the pink!